This unique trophy is a bronze Rice Sheath which is the logo for The Ford Plantation located in Richmond, GA. The Ford Plantation logo has historical implications from the history of rice being grown on the property since the 1730’s. 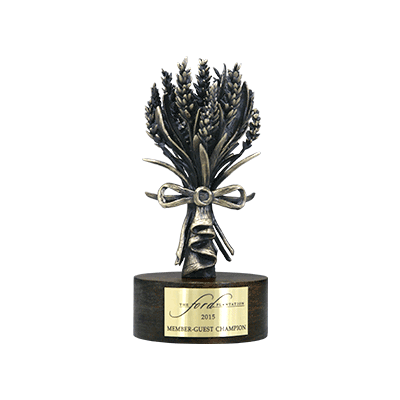 This distinctive trophy is cast antique bronze with polished highlights on walnut wood base with satin brass engraved plate included.